The Second Vatican Council, in its Declaration on Non-Christian Religions, declared that “the Church rejects nothing that is true and holy in these religions,” and encouraged Catholics to “recognize, preserve and promote the spiritual and moral values as well as the social and cultural values to be found among them”. Following this direction the All-Indian Seminar in 1969, which was attended by the whole of the hierarchy and representatives of the whole Catholic Church in India, spoke of the “Wealth of truth, goodness and beauty in India’s religious tradition” as “God’s gift to our nation from ancient times”. The Seminar showed the need of a liturgy “closely related to the Indian cultural tradition,” and a theology “lived and pondered in the vital context of the Indian spiritual tradition”. In particular, the need was expressed “to establish authentic forms of monastic life in keeping with the best traditions of the Church and the spiritual heritage of India”. Among the gifts given by God to India, the greatest was seen to be that of interiority the awareness of the presence of God dwelling in the heart of every human person and of every creature, which is fostered by prayer and meditation, by contemplative silence and the practice of yoga and Sannyasa. “These values” it was said, “belong to Christ and are a positive help to an authentic Christian life”. Consequently it was said: “Ashrams where authentic incarnational Christian spirituality is lived, should be established, which should be open to non-Christian so that they may experience genuine Christian fellowship”. The aim of our ashram, therefore, following these directions of the All India Seminar, is to bring into our Christian life the riches of Indian spirituality, to share in that profound experience of God which originated in the Vedas, was developed in the Upanishads and the Bhagavad-Gita, and has come down to us today through a continual succession of sages and holy men and women. From this experience of God lived in the context of an authentic Christian life, it is hoped that we may be able to assist in the growth of a genuine Indian, Christian liturgy and theology. Saccidananda Ashram, Shantivanam, the ashram of the Holy Trinity, was founded in 1950 by two French fathers, Jules Monchanin, who took the name of Parama Arubi Ananda (the Bliss of the Supreme Spirit) and Henri Le Saux, who took the name of Abhishiktananda (the Bliss of Christ). 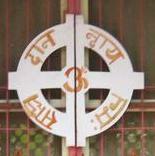 By taking these names and giving the ashram the name Saccidananda, “Being Consciousndess Bliss,” a Hindu term for the Godhead used as a symbol of the three persons of the Christian Trinity, they intended anticipating the Second Vatican Council and the All India seminar, to show that they sought to identify themselves with the Hindu “search for God,” the quest of the Absolute, which has inspired monastic life in India from the earliest times; they also intended to relate this quest to their own experience of God in Christ in the mystery of the Holy Trinity. Unfortunately, Father Monchanin died in 1957 before the ashram could be properly established, and Swami Abhishiktananda after remaining for some time alone, eventually settled as a hermit in the Himalayas, where he died in 1973. Upon Swami Abhishiktananda’s departure in 1968 the ashram was taken over by a group of monks led by Fr. Bede Griffiths from Kurisumala Ashram in Kerala. Since 1980 Shantivanam has been part of the Benedictine Order as a Community of the Camaldolese Benedictine Congregation and on the feast of saint Romuald, 7 February 1985 two Indian brothers made their solemn monastic profession and one his temporal vows as members of the Order. Fr. Bede Griffiths passed away on 13th May at 4.30PM 1993. At present the community consists of nine permanent members, three students, two novices and three postulants. The aim of the ashram remains to establish a way of contemplative life, based alike on the traditions of Christian monasticism and of Hindu Sannyasa. Hinduism has a tradition of Sannyasa, renunciation of the world in order to seek God or in Hindu terms, “liberation” which goes back many centuries before the birth of Christ and has continued to the present day. Our aim at Shantivanam is to unite ourselves with this tradition as Christian sannyasis. Our life is based on the Rule of saint Benedict, the patriarch of Western monasticism, and on the teaching of the monastic Fathers of the Church, but we also study Hindu doctrine (Vedanta) and make use of Hindu methods of prayer and meditations (Yoga). In this way, we hope to assist in the meeting of these two great traditions of spiritual life by bringing them together in our own experience of prayer and contemplation. In externals the community follows the customs of a Hindu ashram, wearing the saffron-coloured robe of the sannyasi (Kavi), sitting on the floor and eating with the hand. In this way we seek to preserve the character of poverty and simplicity, which has always been the mark of the sannyasi in India. A distinctive feature of the life is that each monk lives in a small thatched hut which gives opportunity for prayer and meditation and creates an atmosphere of solitude and silence. There are two hours specially set apart for meditation, the hours of sunrise and sunset, which are traditional times for prayer and meditation in India. The community meets for prayer in common three times a day, in the morning after meditation, when the prayer is followed by the celebration of the Holy Eucharist, at midday and in the evening. At our prayer we have readings from the Vedas, the Upanishads and the Bhagavad-Gita as well as from Tamil classics and other Scriptures, together with psalms and readings from the Bible, and we make use of Sanskrit and Tamil songs (bhajans) accompanied by drums and symbols. We also make use of “arati” waving of lights before the Blessed Sacrament, and other Indian customs, which are now generally accepted in the Church in India. In this way we hope to assist in the growth of an Indian liturgy according to the mind of the Church today. The ashram seeks to be a place of meeting for Hindus and Christians and people of all religions or none, who are genuinely seeking God. For this purpose a guest house has been built, where both men and women can be accommodated for retreat and recollection and for religious dialogue and discussion. There is a good library, which is intended to serve as a study centre. It contains not only books on the Bible and Christian philosophy and theology but also a representative selection of books on Hinduism and Buddhism and other religions and a general section on Comparative Religion. We have many visitors from many parts of India and from all over the world, who are seeking God by way of different religious traditions, and we seek to respond to the need for a spiritual centre where such people can come and find an atmosphere of calm quiet for study and meditation. No charge is made, but guests can make an offering to cover their expenses. For those who seek to become permanent members of the community, there are three stages of commitment to the life of the ashram. The first is that of sadhaka, that is, “seeker” or aspirant. The second is that of brahmachari, that is one who has committed himself to the search for God but need not remain permanently attached to the ashram. The third is that of sannyasi, that is one who has made a final and total dedication, when the kavi habit is given and he is committed for life to the search for God in renunciation of the world, of family ties and of himself, so as to be able to give himself totally to God. This however need not involve a permanent stay in the ashram but in accordance with Indian traditions the sannyasi is free to wander or go elsewhere as the spirit may lead him. The ashram is also concerned to help the people in the neighbouring villages. Though the ashrams primary call is to discover the kingdom of God within, it also takes seriously the words of Jesus “whatever you do to the least of my brothers and sisters that you do unto me.” Hence the ashram is also concerned to help the people in the neighbouring villages. The ashram runs a tailoring centre where around twenty five young women are trained every year in tailoring and are given a free sewing machine at the end of their training. The ashram also started a stitching unit in order to provide employment to young men and women of the area. There are around thirty six persons getting employment in this unit. The ashram also runs a home for the aged and the destitute. There are around 25 persons in this home where they are given free boarding, lodging and medical care. The ashram is very concerned with the education of the children in the neighbouring villages. The ashram has distributed free note books and uniforms to the poor and deserving children. It is providing eggs twice a week to 450 children and plans to distribute free milk to the children in the age group below three years. The ashram also builds houses for the poor and provides medical help to the poor. The ashram welcomes the generous offerings from the people who would like to support these welfare activities. The ashram supports itself partly by cultivating the eight acres of land in its possession, together with a small herd of cows, and partly by contributions from visitors and well wishers elsewhere. But in all the work, which is undertaken for the needs of the ashram or for others we have constantly to keep in mind that what people need above everything more than food or clothing or medicine or education is the knowledge of God. An ashram must above all be a place of prayer, where people can find God, where they can experience the reality of the presence of God in their lives and know that they were created not merely for this world but for eternal life. In our Prayer we make use of various symbols drawn from Hindu tradition, in order to adapt our Christian prayer and worship to Indian traditions and customs according to the mind of the church today. In the Morning Prayer we use sandal paste, sandalwood is considered the most precious of all woods, and is therefore seen as a symbol of divinity. As it also has a sweet fragrance, it is seen as a symbol of divine grace. We place it on the head or the hands as a way of consecrating the body and its members to God. It is also a symbol of the unconditional love of God as it gives its fragrance even to the axe that cuts it. We are called to radiate the unconditional love of God in our daily living. At the Midday prayer we use the purple powder known as Kumkumum. This is placed on the space between the eye-brows and is a symbol of the ‘third eye’. The third eye is the eye of wisdom. Whereas the two eyes are the eyes of duality, which see the outer world and the outer self, the third eye is the inner eye which sees the inner light according to the Gospel, if thine eye be single, thy whole body shall be full of light. This single eye is the third eye, which was often marked on Greek icons of Christ, and is thus a universal symbol. In India the red colour is considered to be feminine, the mark of mother goddess. We consider that it symbolizes the feminine wisdom, which receives from above and apply it to Our Lady of wisdom. It should be observed that the Midday prayer is a wisdom prayer consisting of wisdom psalm (118) and a reading from one of the books of wisdom. At the Evening prayer we use ashes (vibhuti). The symbolism here is not merely that of Ash Wednesday. “Dust thou art and dust thou shall return.” But has a deeper meaning. Ash is matter from which the impurities have been burnt away. Placing the ashes on the forehead signifies that our sins and impurities have been burnt away and the ashes represent the purified self. At each of the prayers we offer ‘arati’ before the Blessed Sacrament. Arati consists in the waving of lights or incense as a sign of honour of worship. It may be done before any sacred thing or person. The root meaning of arati before the central shrine in a temple seems to be this. The inner sanctuary of a temple is always kept dark to signify that God dwells in the cave of the heart. When lights are waved before the shrine, as it were, reveals the hidden God. We wave lights before the Blessed Sacrament to manifest, as it were, the hidden Christ and we then take the light of Christ to our eyes by placing the hand over the flame which is passed round to all the congregation. At the offertory of the Mass we make an offering of the four elements – water, earth, air and fire. Every Hindu puja consists in the offering of the elements to God, as a sign of the offering of the creation to God. In the offertory therefore, we offer the four elements as a sign that the whole creation is being offered to God through Christ as a cosmic sacrifice. We first sprinkle water round the altar. Then we sprinkle water on the people to purify the people. The priest then takes a sip of water to purify himself within, we then offer the fruits of the earth as the prayer of the offertory says, the bread and the wine, and then eight flowers which are placed around the ‘tali’ on which the gifts are offered. The eight flowers, which are offered with Sanskrit chants, represent the eight directions of space and signify that the Mass is offered in the ‘centre’ of the universe thus relating it to the whole creation. We then do arati with incense; representing the air and then with camphor representing the fire. Thus the mass is seen to be a cosmic sacrifice in which the whole creation together with all humanity is offered through Christ to the Father. In our daily prayer we make constant use of the sacred syllable OM. This word has no specific meaning. It seems to have been originally a form of affirmation rather like the Hebrew Amen used as a form of solemn assertion as when in the Gospel Jesus says; “Amen I say to you.” Thus it came to be conceived as the primordial sound, the original word, from which the whole creation came. In this it is akin to the Word of St. John’s Gospel, of which it is said that it was in the beginning with God and without it nothing was made. In the Upanishads it came to be identified with the highest Brahman, that is with the supreme reality. Thus it is said: “I will tell you the Word which all the Vedas glorify, all self sacrifice expresses, all sacred studies and holy life seek. That word is OM, that Word is the everlasting Brahman, that Word is the highest end. When that sacred word is known all longings are fulfilled, it is the supreme means of salvation, it is the help supreme. When that great word is known one is great in the heaven of Brahman. “For a Christian”, of course, the Word is Christ. <?<FONT size=3> The Church is built in the style of a South Indian temple. At the entrance is a ‘gopuram’ or gateway on which is shown an image of the Holy Trinity in the form of a ‘trimurti’, a three headed figure, which according to Hindu tradition represents the three aspects of the Godhead, as Creator, Preserver and Destroyer of the universe. This is taken as a symbol of the three Persons in one God of the Christian Trinity. The figure is shown emerging from a cross to show that the mystery of the Trinity is revealed to us through the cross of Christ. Between the gopuram and the ‘mandapam’ or outer court of the Temple is a cross-enclosed in a circle. The circle represents the cosmic mystery, the wheel of the law (dharma) of Hindu and Buddhist tradition. The cross at the centre of the circle signifies that the cross of Christ is the centre of the universe and of human existence. At the centre of the cross is the word OM which in Hindu tradition is the word from which the whole creation comes and through which we came to the knowledge of God, and is thus a fitting symbol of Christ the Word of God. In the ‘mandapam’ or outer court of the temple, where the congregation assembles, there is a similar cross having the words ‘Saccidanandaya namah’ written on it in Sanskrit, that is ‘worship to Saccidananda’. Saccidananda is the name for the Godhead in Hindu tradition as Being, knowledge and Bliss. This is taken as a symbol of the Christian Trinity as Sat, Absolute Being, the source of being in the Godhead and in creation; as Cit-Absolute Consciousness expressed in the word, the image of the Godhead the self manifestation of the One; as Ananda Bliss the expression of the Joy of God, the fruit of Love. Over the doors which give access to the inner sanctuary or ‘mulasthanam’ there is an inscription in Sanskrit taken from the Upanishads; “Paramarth stvam evaikonananyosti jagatapate” which means: ‘you are alone the supreme Being; there is no other Lord of the world. Under this are the words ‘Kurios Christos’ the Lord Christ in Greek letters. In the inner sanctuary or ‘garbagriha’, which is always kept dark, to signify that God dwells in the darkness, the ‘cave of the heart,’ there is a stone altar with a tabernacle, in which the Blessed Sacrament, the sign of the real presence of Christ, is preserved. The Sacrament signifies the mystery of the death and resurrection of Christ, through which the worshipper is able to pass through death to resurrection and experience the new birth to eternal life. Through the resurrection and an ascent is made to the ‘new creation’. This represented by the ‘vimana’ above the sanctuary. At the base of the vimana are the figures of the four beasts of the Apocalypse, the lion, the ox, the man and the eagle, (Rev. 4:7), which represents the whole creation redeemed by Christ. Above them are four figures of saints, representing redeemed humanity, and above them four figures of Christ in different postures seated on a royal throne- simhasana and surrounded by angels. Towards the east is the figure of Christ as king in the royal posture and beneath him the figure of the Virgin Mary, as Queen of heaven clothed with the sun and with the moon and stars at her feet (Rev. 12: 1) treading on the serpent. The serpent has different meanings. If it raises its hood it is the symbol of human consciousness in harmony with God if it is crawling on the ground it is the symbol of human consciousness which has fallen from eternity into time. It is the symbol of the ego. A virgin is one who stops this movement of the ego and opens it to the divine consciousness. Towards the north is Christ as Priest in the ‘abhaya’ mudra taking away fear and conferring grace and beneath him St. Peter with the keys of the kingdom of heaven. To the south is Christ as prophet or teacher in the posture of Guru and beneath him St. Paul as teacher of the nations. Finally to the west is Christ as Contemplative in the posture of ‘dhyana’ of meditation and beneath him St. Benedict, the father of monks and founder of contemplative life in the west. Above these figures of Christ and the saints is the throne of God, represented by the dome covered with peacock feathers and above this again the lotus, symbols of purity supporting the ‘Kalsa’ an ancient symbol of the four elements earth, water, air and fire, pointing upwards to the ‘akasa’ the infinite space, in which God dwells ‘in inaccessible light. Thus at the entrance of the temple the mind is directed to the mystery of the Godhead as three persons adored by angels. Then through the mystery of the Cross and the resurrection it is drawn to contemplate the “new heaven and the new earth”, which is the destiny of man, and beyond this the mind is finally turned to the ineffable mystery of the Godhead beyond name and form to which all earthly images are intended to lead us. Welcome to the Guests. The Ashram is a community of spiritual seekers and a monastic community is in-charge of the Ashram. As spiritual seekers, the guests receive guidance and support from the monastic community and they have to follow the directions and regulations of the monastic community. The monastic community belongs to the Camaldolese Congregation and is dedicated for contemplative life in the Benedictine tradition.